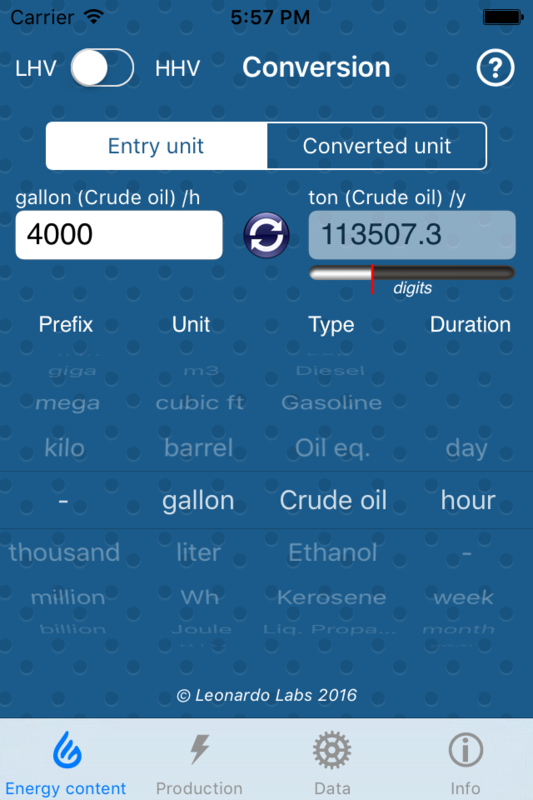 A calculator to become fluent about joules, BTU or metric-tons of fuel! 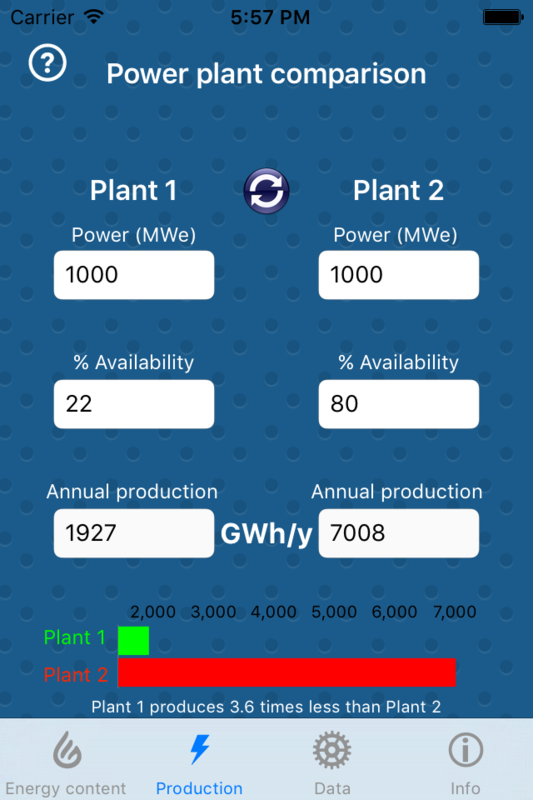 Available on the Appstore, Energy Toolbox is an energy calculator. It allows multiple conversions between energy units and weight or volume of the main fuels, nuclear included. This application was born as Deepwater Horizon exploded, in the Gulf of Mexico in 2010, and spilled the southern coast of the USA, in particular in Louisiana. Authorities then gave information about the spill in US gallon per hour. How could we connect these figures to european knowledge about oil spills, as the Prestige pollution that flew 77000 metric tons of crude oil along Portugal, Spain and France coasts in winter 2002-2003? That’s why Energy Toolbox was designed, by a journalist working on environmental issues. 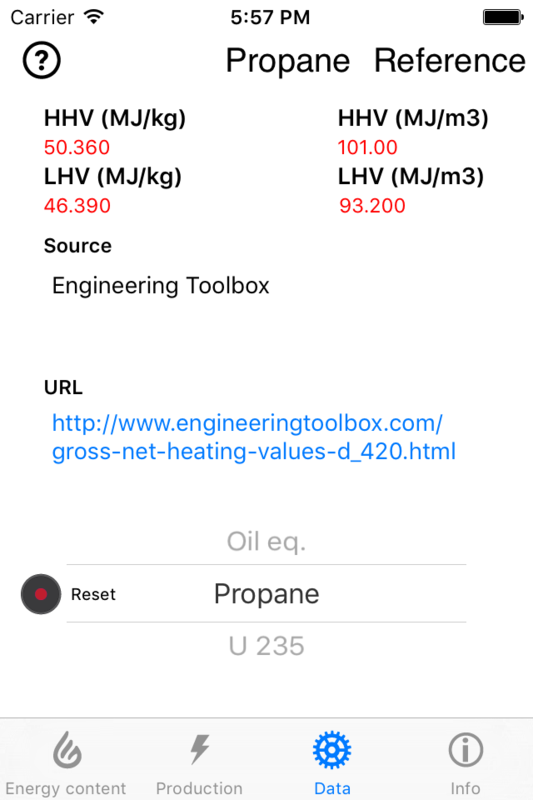 It allows comparisons between fuels, depending on their energy content, and conversions between european and US/UK energy or fuel units, as metric-ton or cubic-feet. All the sources used for these calculation come from reputed organizations, and links to the reference document are given. Of course, Energy Toolbox‘s users are also allowed to modify these calculation factors in order to comply with their organization policy. The second feature of Energy Toolbox (and others will follow) is about power plant energy production. Because the installed power of a plant doesn’t say anything about its annual production: it depends on the availability of the plant. There is much difference between the 22% mean annual availability of a solar PV plant (depending on the location, solar exposition…) and the 80% (sometimes more) availability of a gas or nuclear plant. With Energy Toolbox, you will compare the true facts between power sources! Available for iPhone, in english and french.